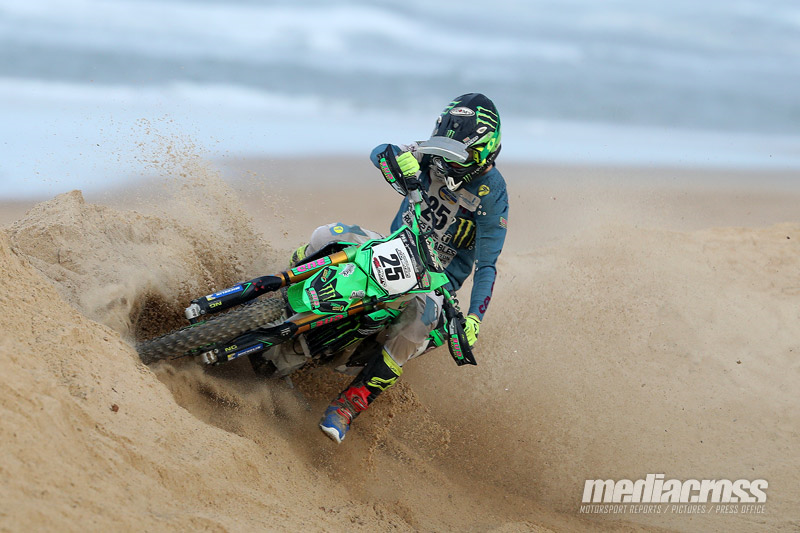 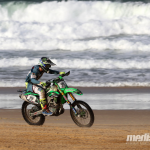 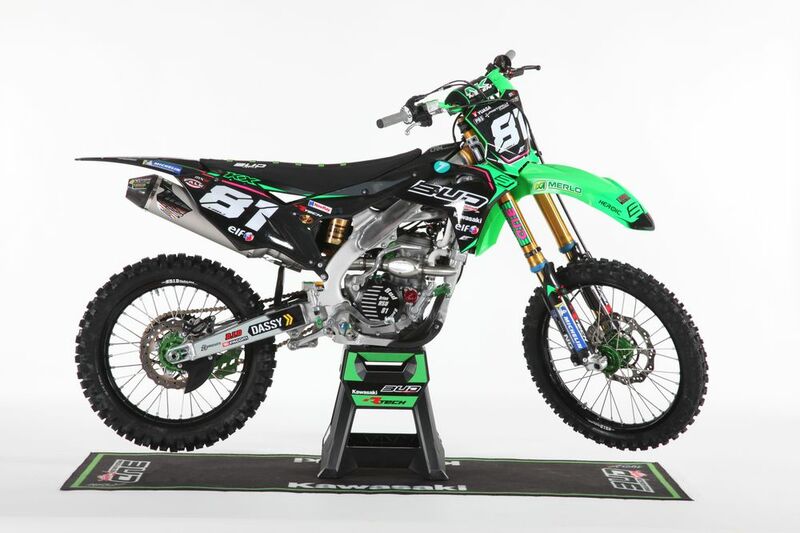 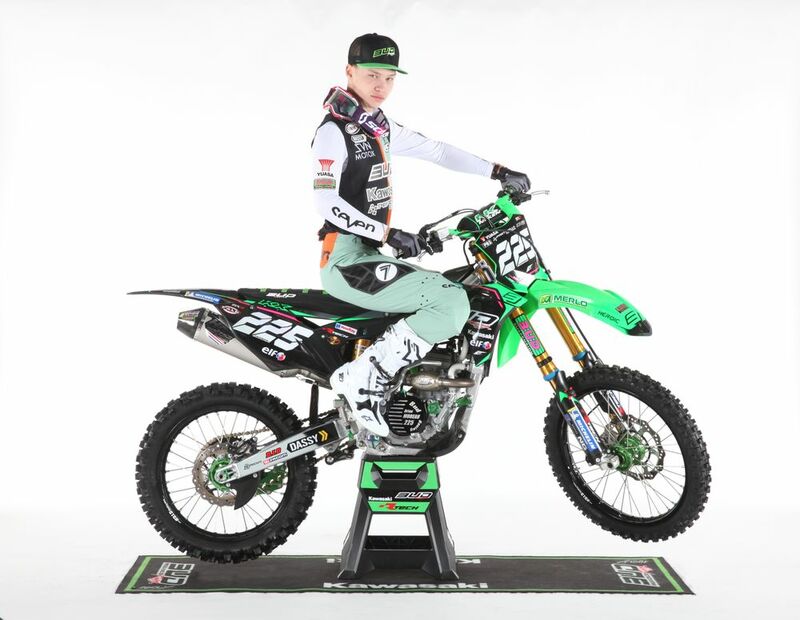 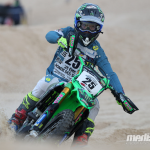 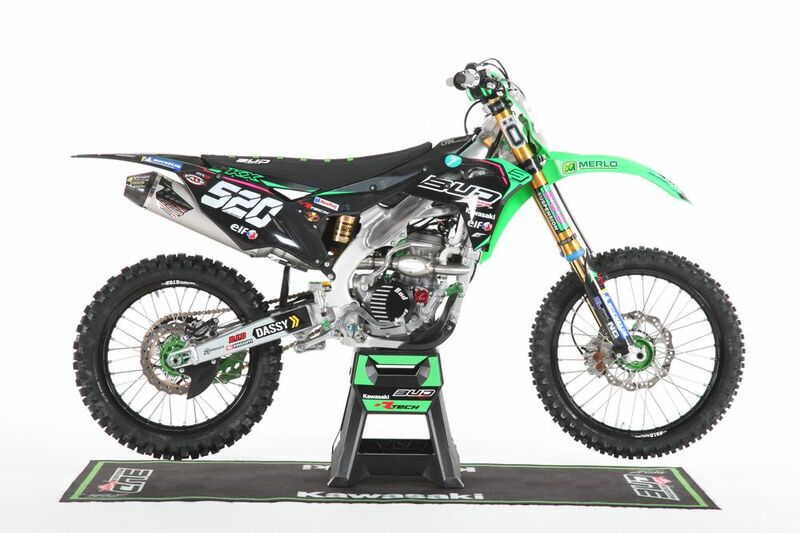 Hossegor is a familiar venue for Brian Moreau, as he is based with his team Bud Racing Monster Kawasaki in this city and this year again he won the round of the Beach Race series for his last race of the season. 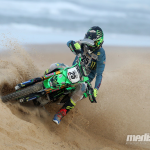 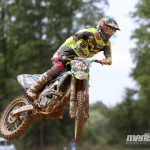 Motocross, Supercross and beach races, Brian Moreau is an eclectic rider! 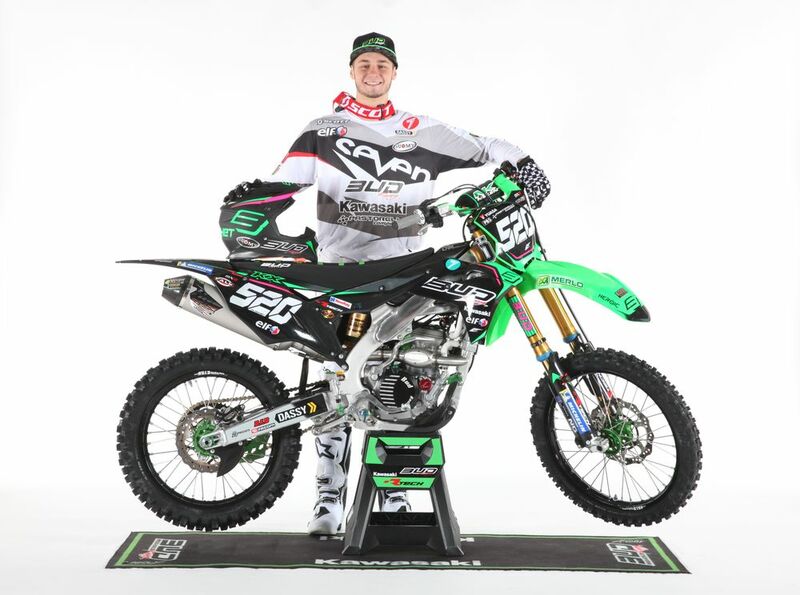 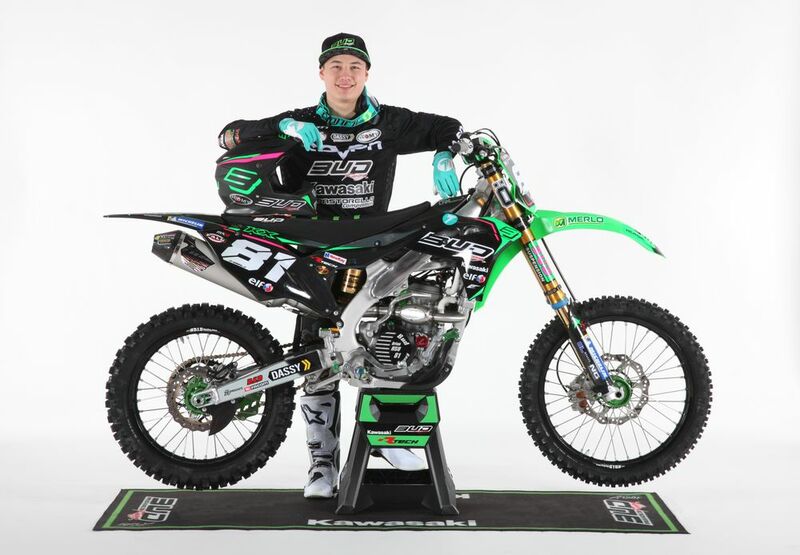 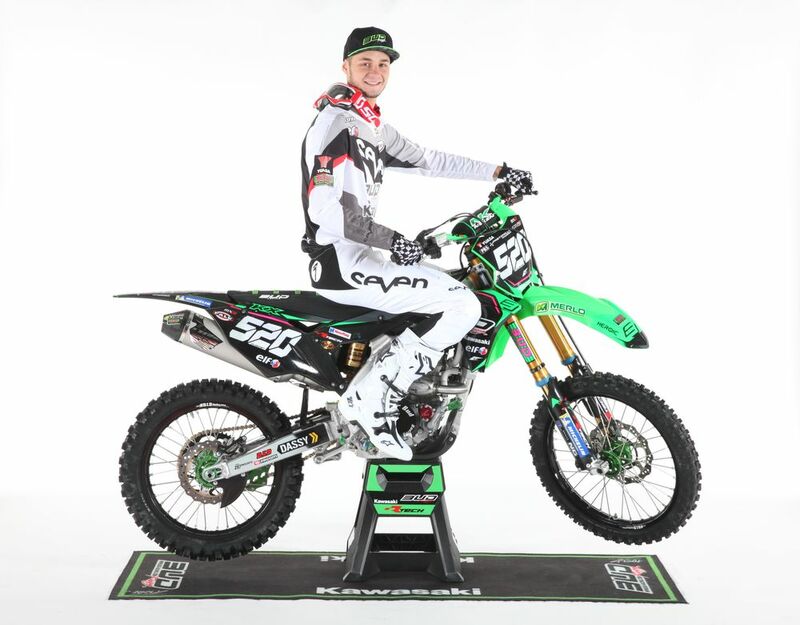 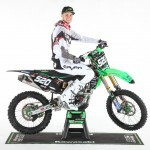 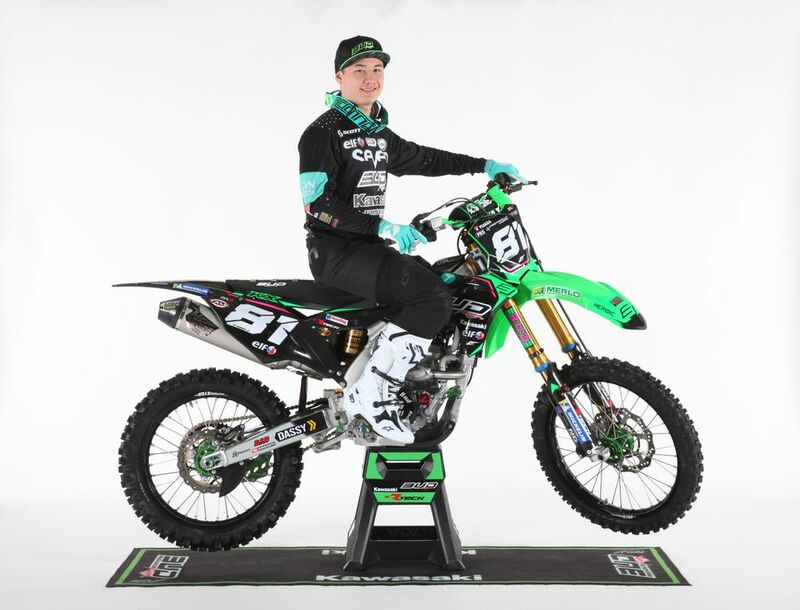 After the MX season and two Supercross experiences, he was involved in the fourth round of the Beach race series aboard the same 250 KXF Bud racing. 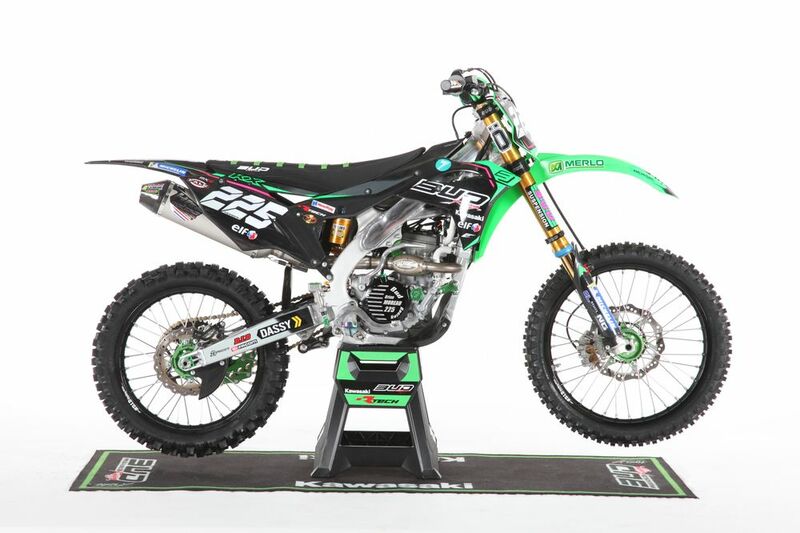 The Bud technicians just put a bigger tank to have a minimum of pit stops, and changed the transmission for this one hour and a half race. 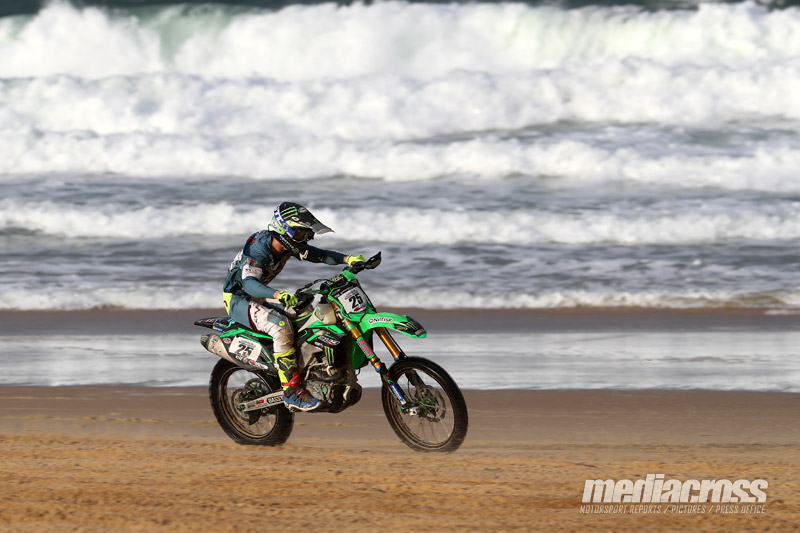 Brian took a good start on the beach, but during the first lap he crashed when he went on a soft sandy section losing a couple of seconds and some positions. 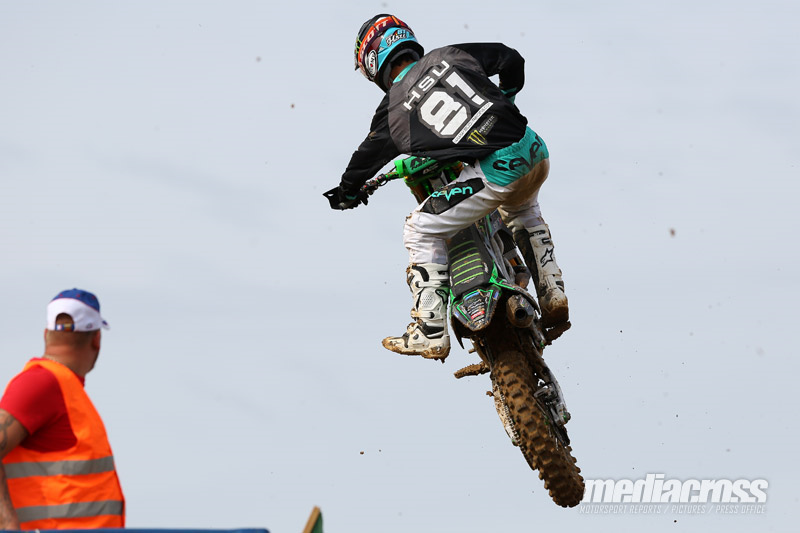 Coming back second after a few laps he later joined the race leader and passed him before mid race. 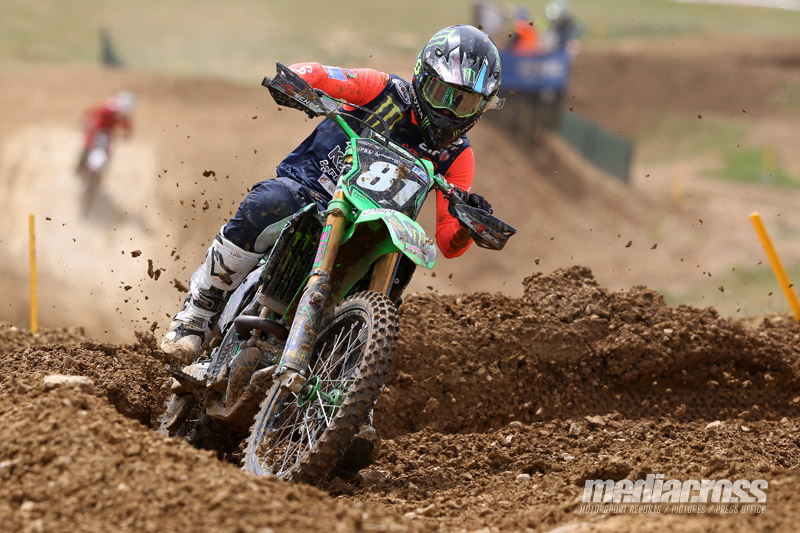 As his main rival run out of fuel the second part of the race was easier for Brian who controlled the pack to win the race thirty-seven seconds ahead of his closest opponent. 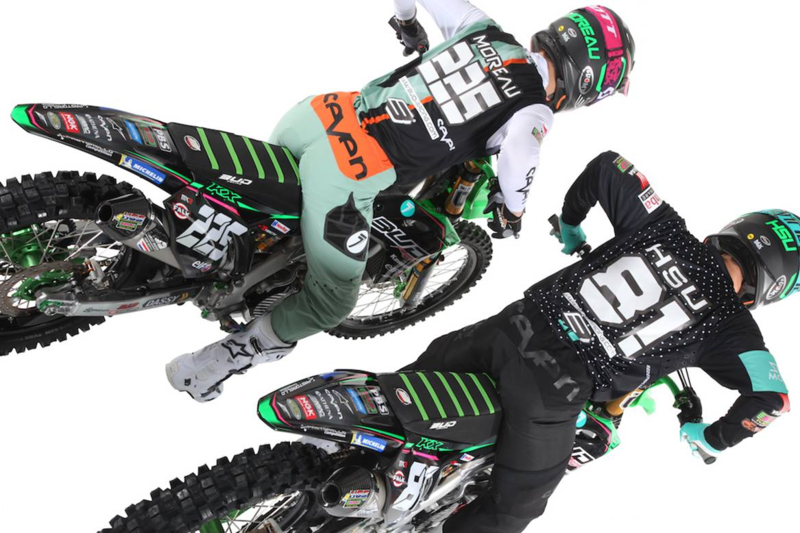 It was the last race of the season for team Bud Racing, who will now prepare the MX2 World Championship as Brian Moreau and Brian Hsu will enter the first GP in Argentina on March 10th. 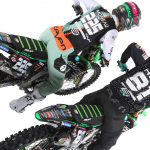 Mid-season recap, our riders Brian Moreau and Pierre Goupillon are feeling good, the boss is confident, let’s keep our pace and finish the season with a lot of victories ! 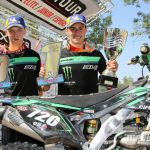 Final round of the French Elite Championship: Win and podiums ! 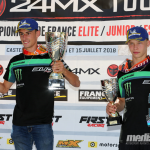 The final round of the French Elite Championship was a great opportunity for Pierre Goupillon to confirm his good shape as he won his first Elite MX2 race. 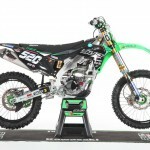 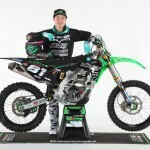 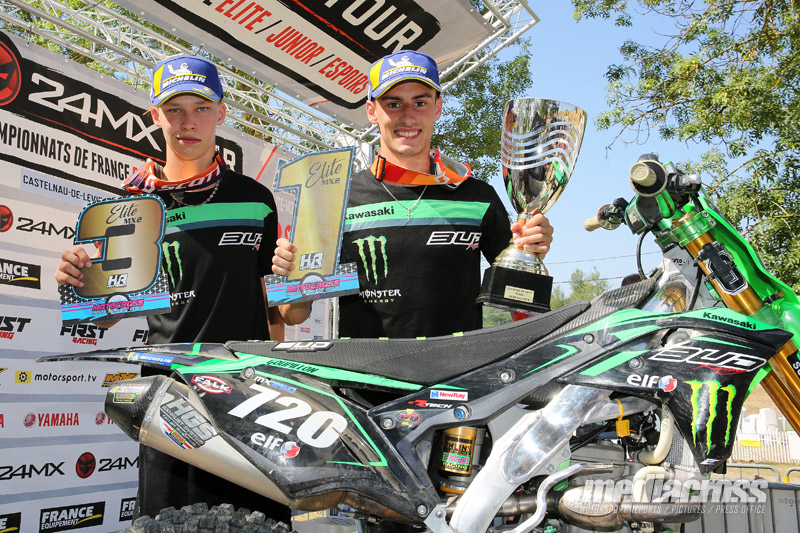 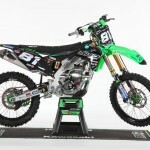 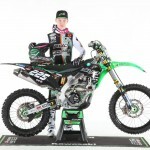 Team mate Brian Moreau offered a double podium to team Monster Bud Racing Kawasaki, with a third position. 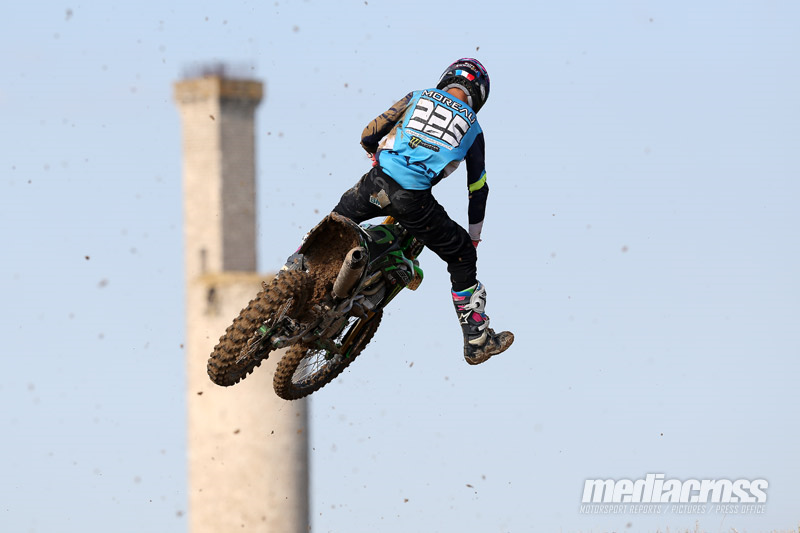 Weather was pretty hot in Castelnau de Levis, but racing conditions were good and early in the morning Brian Moreau got another pole position – the 4th one this season after Bitche, Foolz and Iffendic – while Pierre Goupillon finished runner up in the timed practice session! 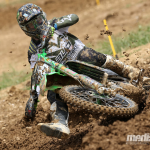 Unfortunately injured during another race, Brian Hsu was missing this event. 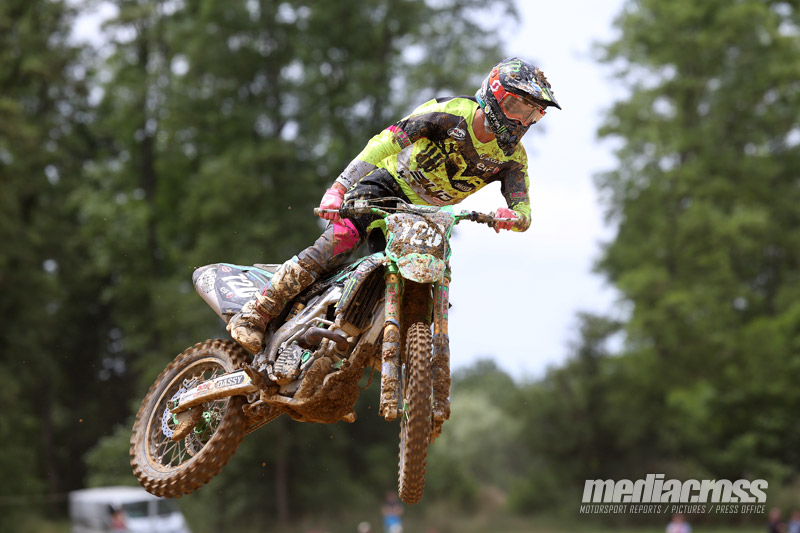 Brian got the holeshot in the first race and was leading the series leader when he slides on one wet part of the track; Boisrame and Goupillon passed him, and when Pierre staled his bike in a corner Brian was back in second position. 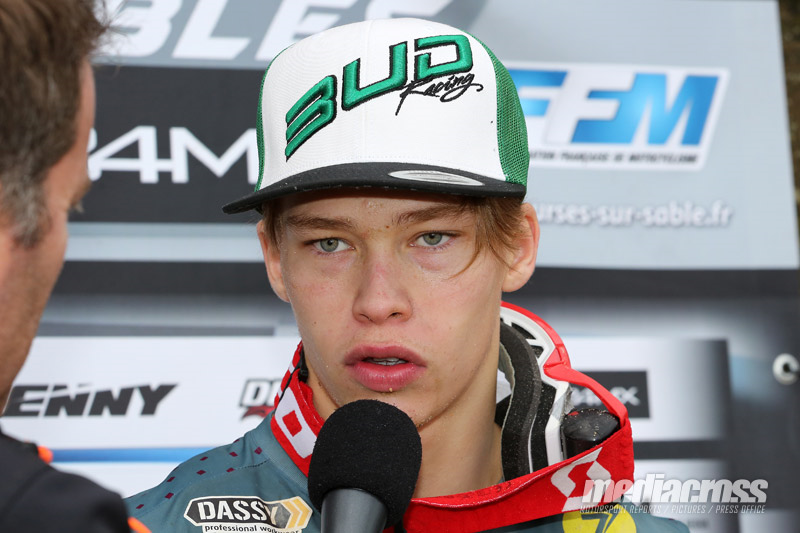 He finished the race only two seconds behind the race winner, followed in third by Pierre. 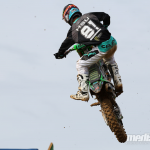 It’s again a Bud Kawasaki who grabbed the holeshot in the second race, and this time it was Pierre who lead the pack; nobody will catch him, and Pierre won his first MX2 Elite race and also his first overall win! 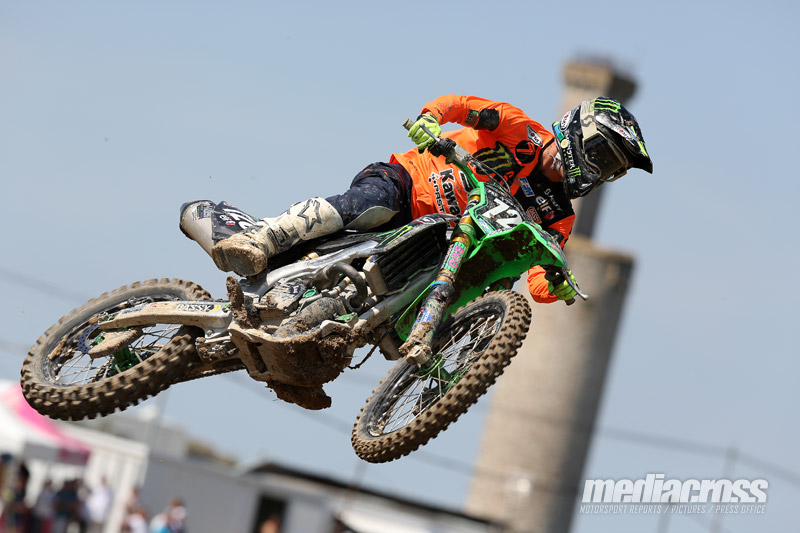 Brian crashed twice in this race but never give up and finished in sixth, fighting with Boisrame until the finish flag. 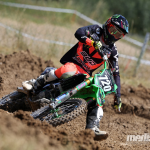 Third of the race Brian ends the French MX season third of the championship for his first season in 250 class, while Pierre finished fifth after missing one round of the series in Bitche. 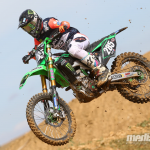 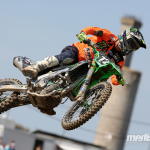 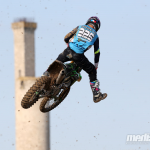 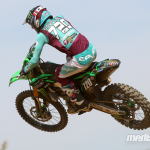 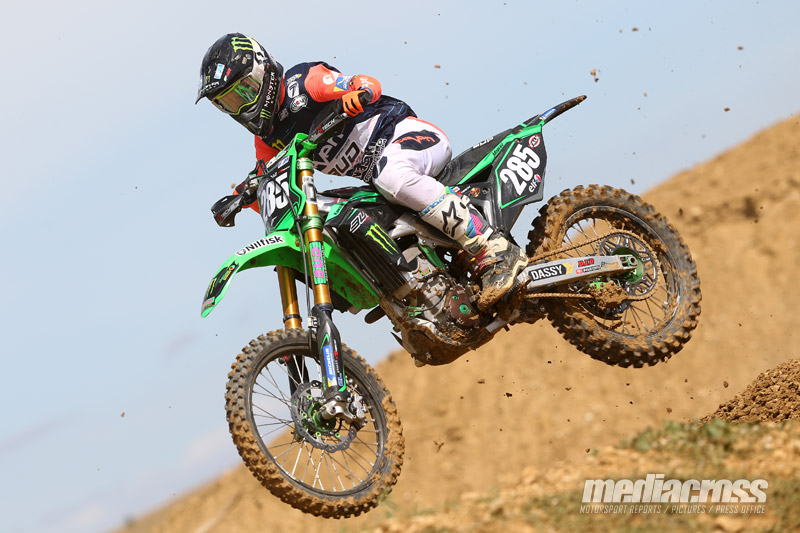 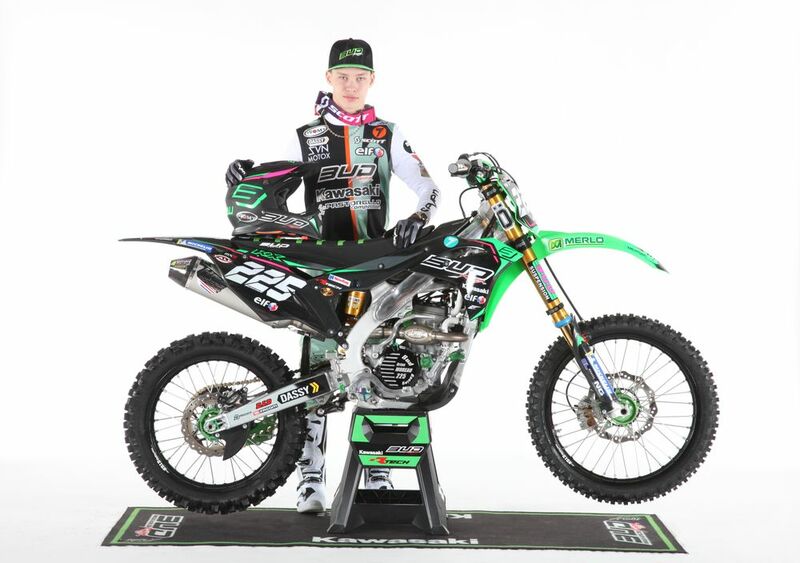 The French Elite championship was back in Britany this weekend, and team Monster Bud Racing Kawasaki had a successful weekend as Brian Moreau got his first moto win in Elite 250 class and with their three riders finishing in the top six of this penultimate round of the series. 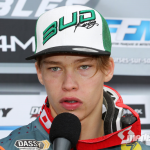 Dry track, perfect weather, racing conditions were good in Iffendic and early in the morning the Bud Racing riders show their potential in the timed practice period with another pole position for Brian Moreau, a third for Pierre Goupillon and a fourth position for Brian Hsu! 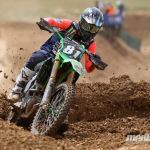 At the start of the first race Brian Moreau got the holeshot, followed by the series leader; before mid race Brian did a small mistake and lost the lead, and in the next circulation he found on his way a lapper and lost three more places. 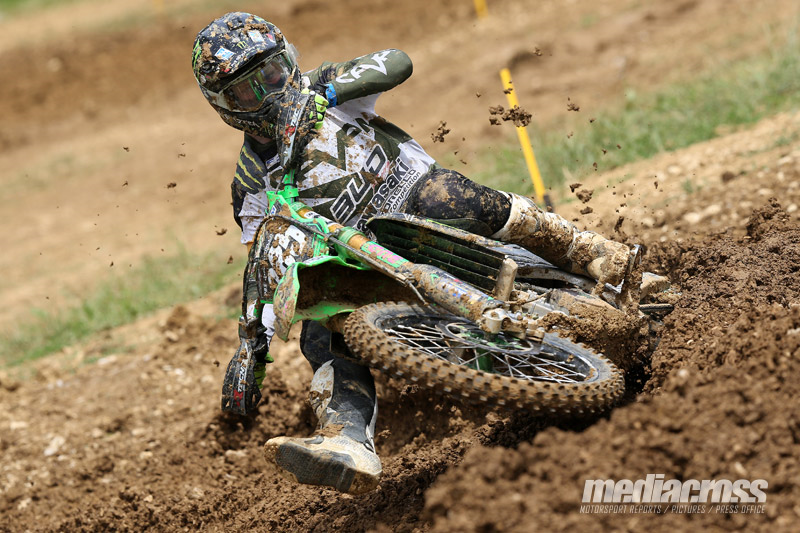 Fifth of this race Brian took his revenge in the next one; nearly missing the holeshot as he went wide in the first corner, he again battled with the series leader who finally did a mistake and offered the first position to Brian who won the race and secured a second overall. 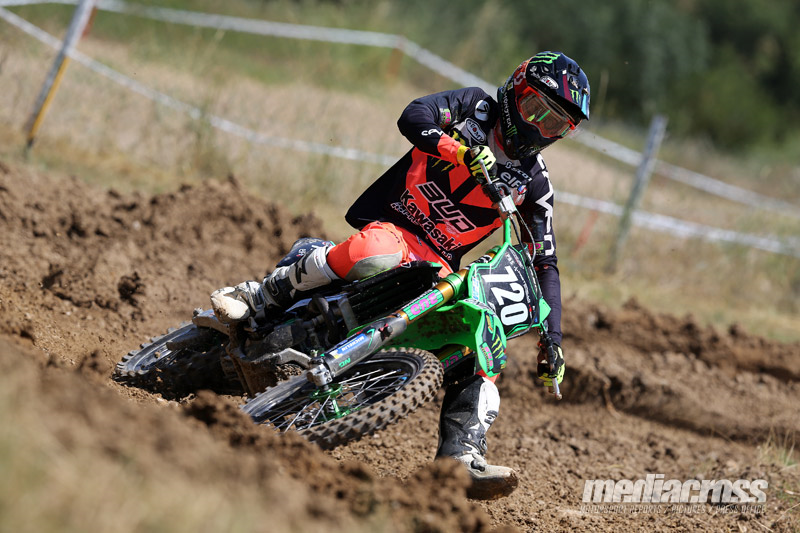 Racing nearly at home Pierre Goupillon just missed this podium for two points; with two starts around the tenth position Pierre had to find his way in the pack, coming back third and fourth to finish fourth overall. 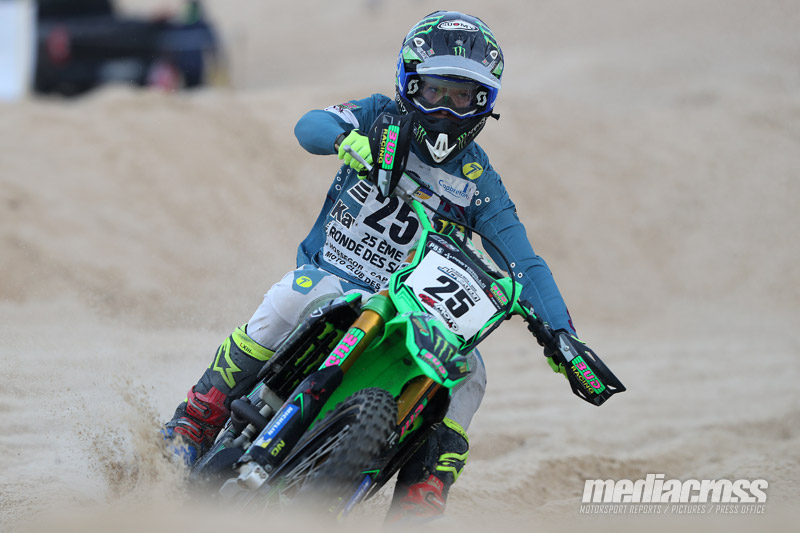 For his second race this season Brian Hsu show strong improvements compared to the first one; eighth in the first heat, he finished fifth in the second one, a great reward for the hard training work. 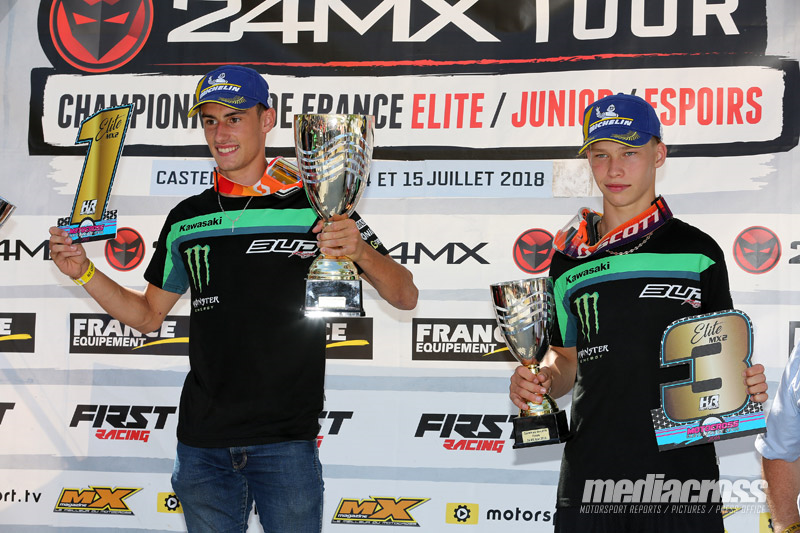 Next weekend the team will be in Castelnau de Levis (near Albi) for the final round of the championship; Brian Moreau and Pierre Goupillon are currently third and sixth in the standings.